Look what bloomed overnight! Strawberry Flowers! Excitedly planting vegetable seeds for the beginning stages of our courtyard garden! Mrs. Surmanek's PreK class "tasted the rainbow" with Ms. Renee last week! They learned about different colored fruit and vegetables and made a food rainbow with fruit and vegetables that Ms. Renee brought in for a taste test. 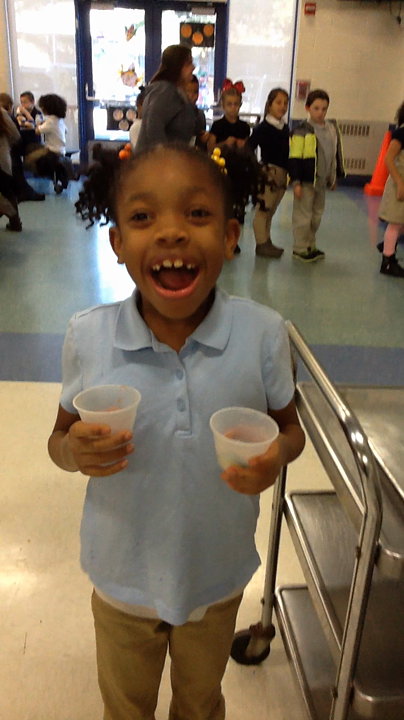 The boys and girls loved trying all the different colored fruit and veggies! After the taste test, they colored pictures of fruit and vegetables to glue on their class rainbow! Zoodle Day was a huge success. 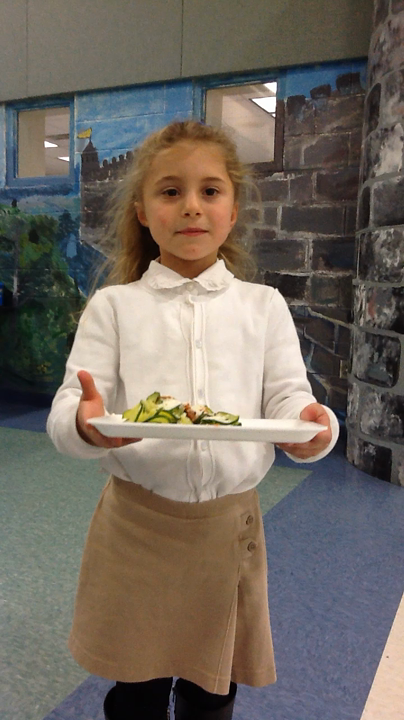 The kids loved tasting zucchini noodles dipped in sauce. Mrs. Woodward's Grade 2 Class Library lesson on how plants grow. Sun, Soil, Water, Air!